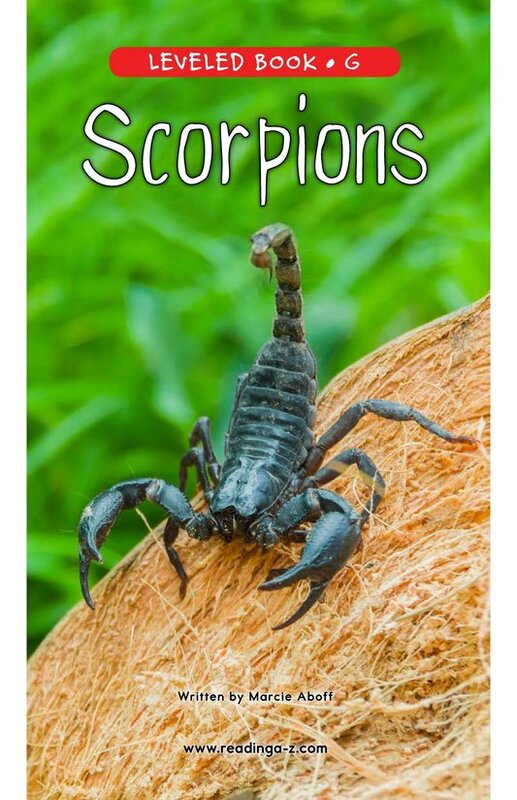 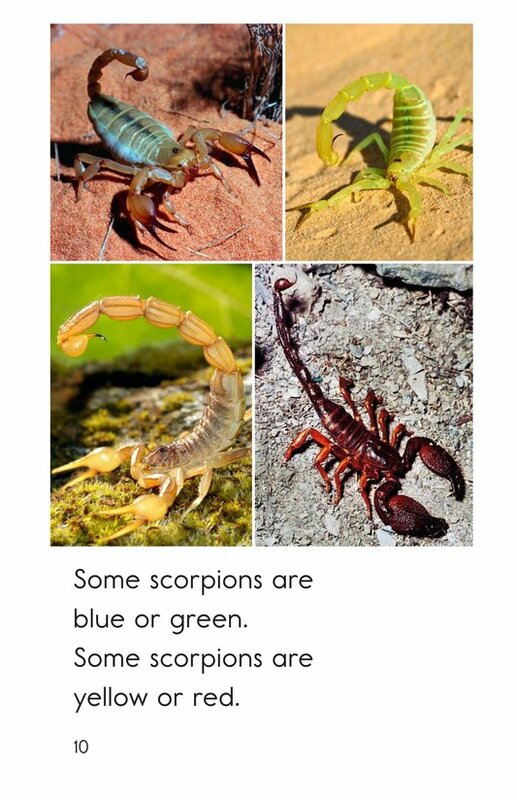 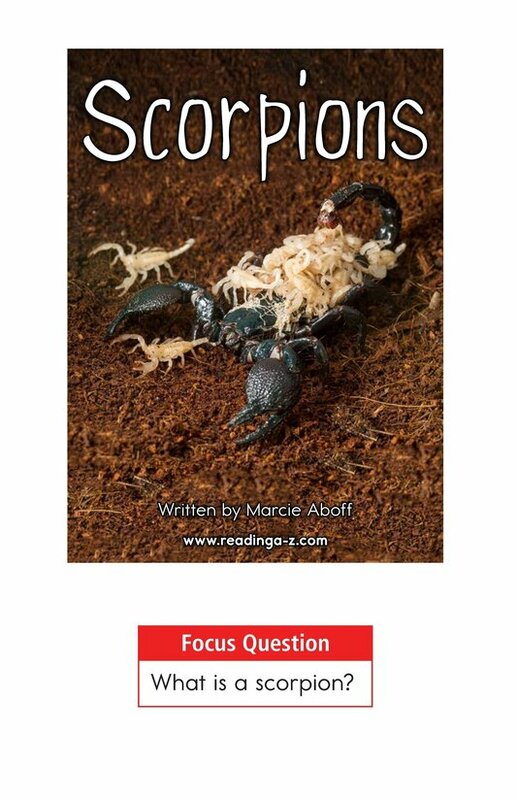 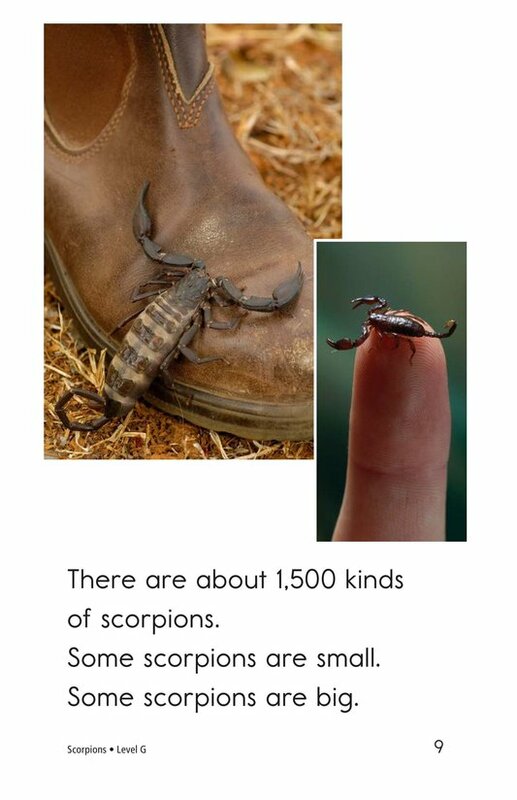 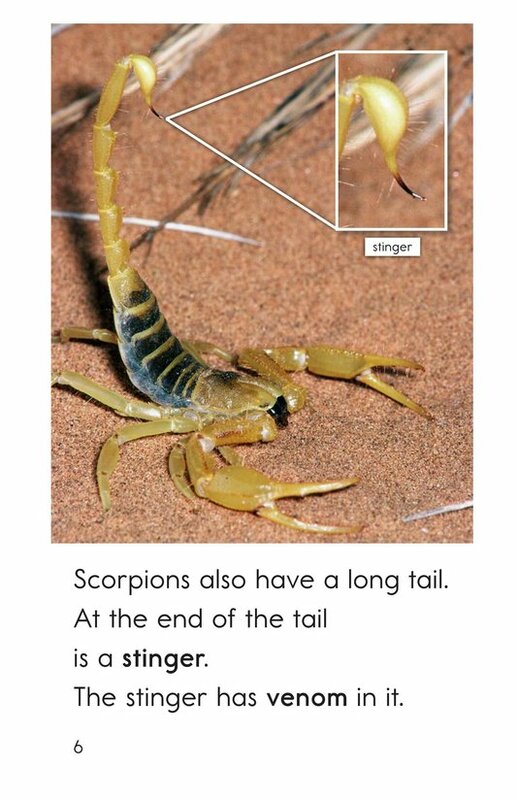 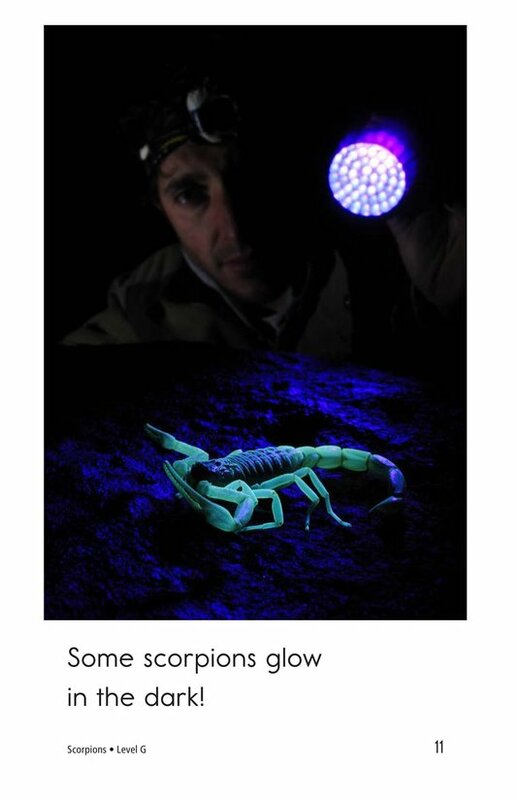 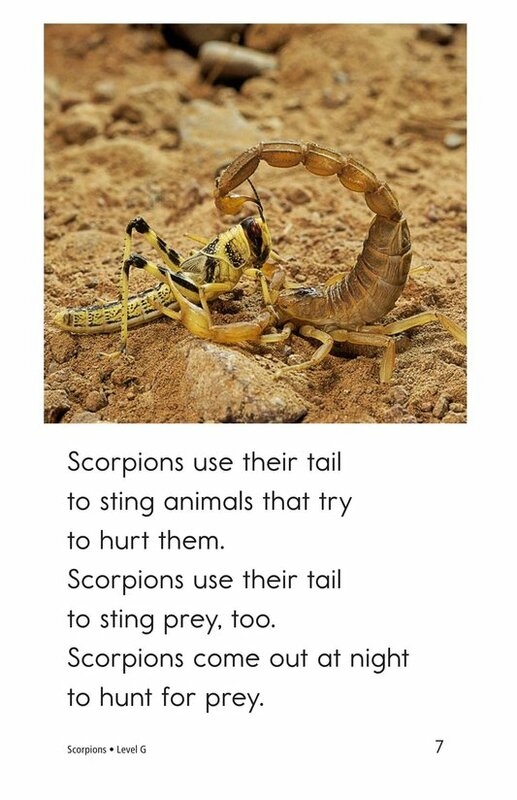 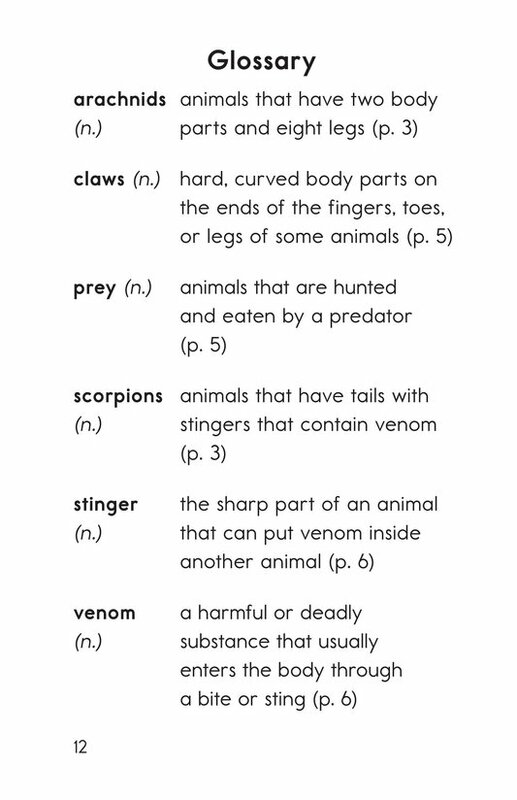 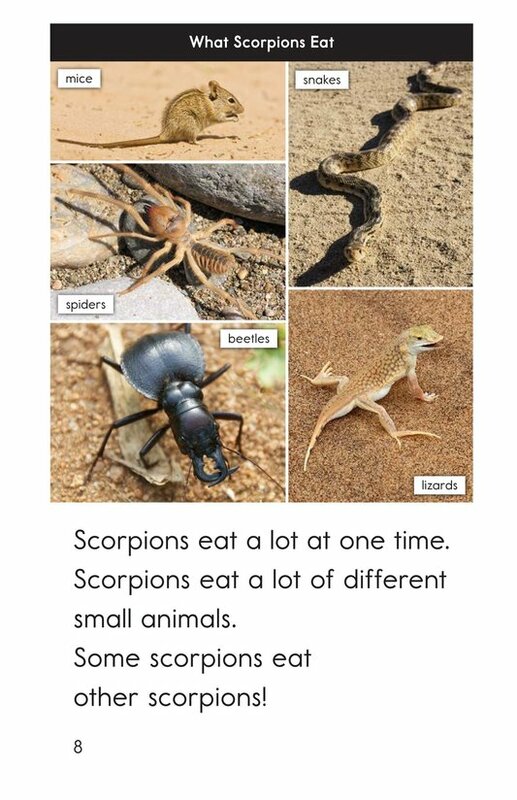 Scorpions introduces students to the scorpion, an arachnid that comes out at night to hunt prey. 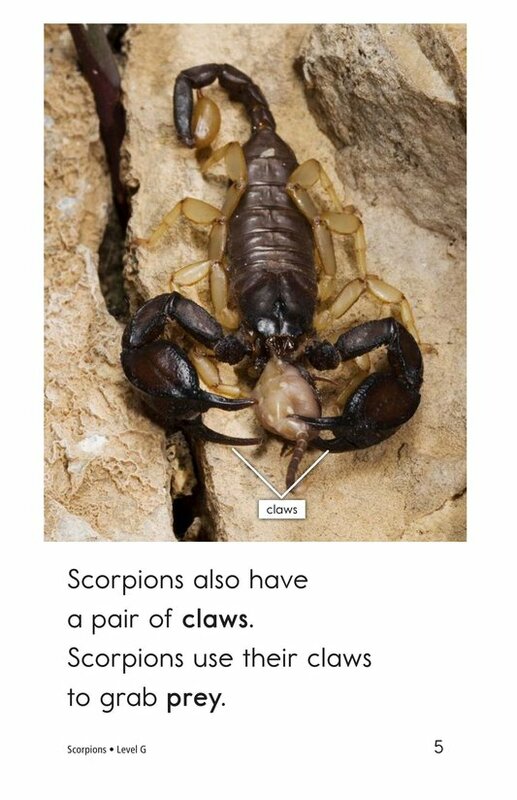 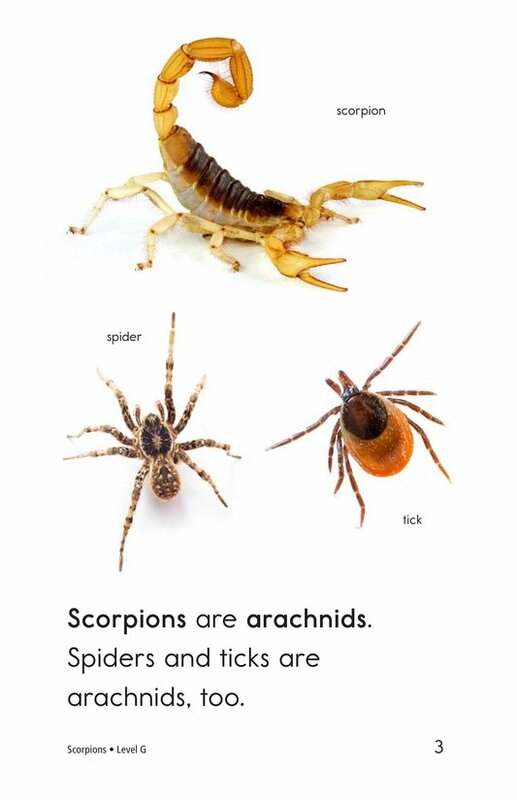 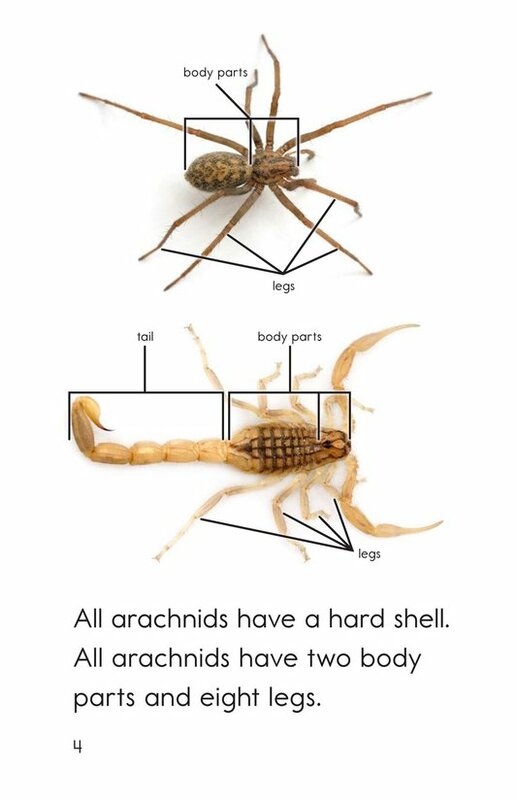 Interesting facts and detailed photographs will keep students engaged in learning more about these fascinating critters. 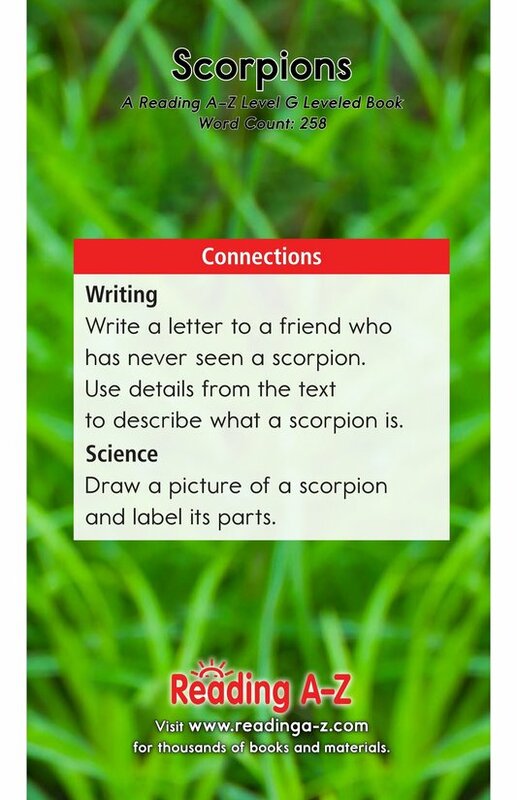 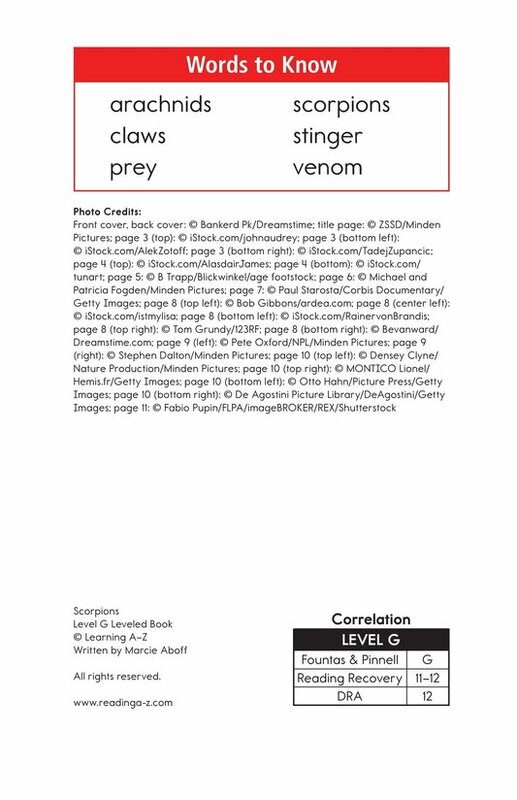 This book can also be used to teach students how to connect to prior knowledge as well as classify information to better understand text.